When I was little it was always a big deal to go to the library with my mother. I would get to take two books home to read so I tried to pick something that would last, something with a few chapters. I would spend hours saying ‘hello’ to the books I had already read and then start meeting new friends. My mother would finally drag me to the check-out with my latest finds. When I grew up I started collecting books, first in subjects that I love: magic and magicians, biographies and history, later I started buying things that were rare, older and more unique. For example, I have Rider’s British Merlin from 1780. In the world of book collecting it is not that old, but this edition is very rare, only a few copies are known to exist. When I hold a book like that I think of all the history that has happened since it was published. The United States was still being formed; people lived simply, sometimes barely surviving from year to year and there certainly was no conception of all the technology we enjoy today. A few years ago I started taking classes in the book making arts, particularly bookbinding. In San Francisco we have a place called the San Francisco Center for the Book (www.sfcb.org), where I have taken a few classes. 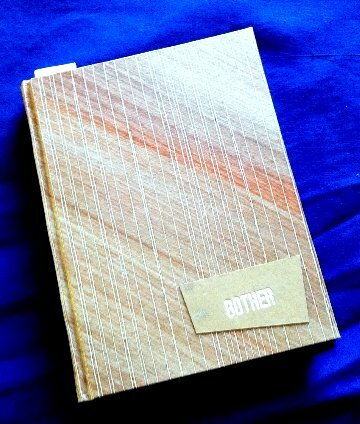 I will post some pictures of books I have made and paper for book covers that I have made. If you live in SF or plan to visit, try to stop by their facility for a tour, always some interesting things on display. If you are a bookbinder, letterpress printer or just love books like I do, let me know. Show me your favorite project or most prized book. I love seeing that sort of thing and hearing the history of how it came to be. This entry was posted in Book Binding, Commentary and tagged Book Arts, Bookbinding, Books, Collecting, History, Self Publishing. Bookmark the permalink.